We engage with a very wide audience, from very young children to adults from a variety of backgrounds. They say you should never work with animals and children, but we love working with both. Below you will find just a few little snippets of our activities delivered as part of the ongoing engagement work, based on the live animal collection at Manchester Museum, in order to support people in our local and global communities. Hi, I thought the practical session was very enjoyable and informative. It was a great opportunity to see the variety of animals up close and find out about them. It also made a change in the style of learning and the staff and other students helping out were very approachable. I really enjoyed the practical session, by far the best of the year! It was really great to get to see all the unusual animals up close and get the opportunity to hold some of them. Definately will not be forgetting it any time soon! I organised the visit to the museum by Timperley Probus on Wednesday 4 May. 32 members came on the visit and we were captivated by the ‘live animal’ talk given by Andrew Gray on frogs (and also by the frogs and lizards themselves!). Andrew’s knowledge is obvious and he is an excellent communicator and teacher. His commitment to the subject is evident from this blog and from the enthusiasm displayed in his presentation. On behalf of Probus Timperley I wish to thank him for the talk and he certainly achieves his aims in making the wider public more aware, and less ‘scared’, of frogs and reptiles. I also enjoyed the talk along with my fellow Probus members. There wasn’t time to tell you that I have found 2 or 3 frogs ‘nesting’ amongst the ivy on the garage roof. This has happened more than once. I didn’t know they could climb 10 feet above our pond in the Autumn. Is this usual? Hi Andrew, Thanks again for the wonderful visit to the Museum with the group from the CAMHS (Child and Adolescent Mental Health Services) unit at Royal Manchester Children’s Hospital’s Galaxy House. The group were absolutely captivated by the frogs, snakes and lizards that they met and learnt so much about. The presentation was spot on, fun and engaging, and everyone felt relaxed and really free to contribute to the session- A real boost to enveryone’s wellbeing! As the artist in residence on the ward working with the Museum’s collection, I found what we saw a great inspiration and I hope to use what I and the group came away with as a springboard to creating some exciting art with the young people which can then go on to decorate the ward. I look forward to seeing what we create! Many thanks! Thank you so much for coming to speak at the Faculty of Life Sciences technicians seminar series yesterday, it was both interesting and very entertaining to discover how you made it from “Suites to Newts”. I wasn’t expecting your live exhibits to come with you and it was great to meet them. Tree fogs are fantastic creatures. You’ve had the technicians talking about your seminar all day. We’d love to have you back and hear more. 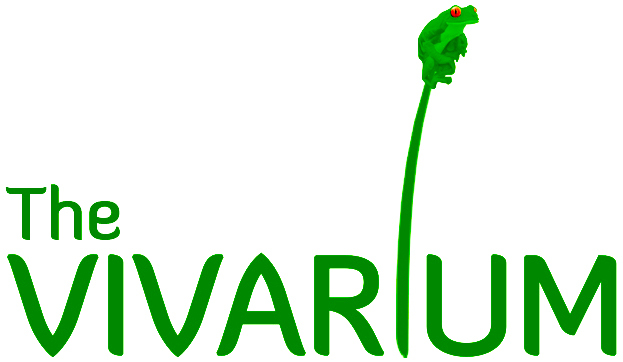 Thank you for a great tour of the Vivarium this morning. It was amazing to see the animals out of the tanks and hear about the fantastic work that’s going on. Working in the museum, I see the enthusiastic way people engage with the new displays. Whatever the downside of keeping animals in captivity, inspiring people to care has got to be a big plus.